The Quality Hotel Nacka is just 10 mins from Slussen and 20 mins from central Stockholm thanks to excellent transport links. This is a great place to stay for both families and business travellers. The hotel has a restaurant, bar and relaxation area. At the Quality Hotel Nacka, you'll be just 10 minutes by car from central Stockholm. All our guests can enjoy free parking and access to our relaxation area with a gym, sauna and indoor pool. 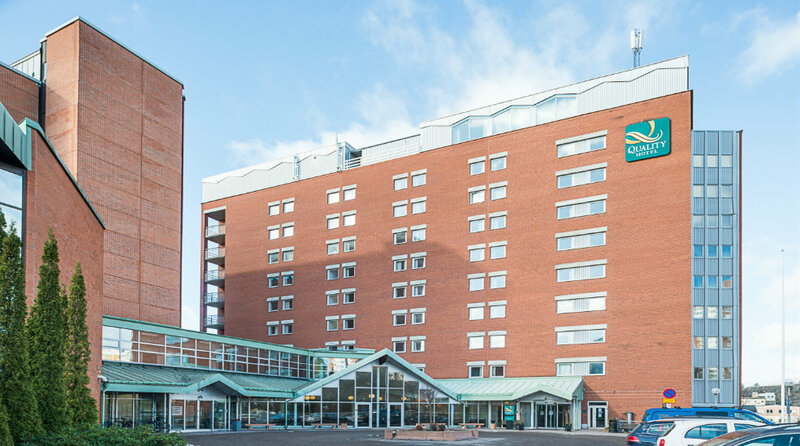 The Quality Hotel Nacka has everything you need for an enjoyable visit to the capital, whether you're travelling with your family or on business. With excellent transportation links – bus, road and the Saltsjöbanan train – it's easy to reach central Stockholm for a bit of shopping or cultural activities. Our close proximity to the Nacka nature reserve and Stockholm's stunning archipelago provides plenty of opportunity for outdoor activities. Our popular buffet breakfast is served in our dining room every morning, featuring a range of organic produce and freshly brewed fair trade coffee. If you'd like to start or end your day with a good workout and some spa time, you can head to the hotel's gym and relaxation area, which is free of charge for all our guests. Those who prefer to exercise outdoors will find excellent opportunities to do so in Nacka. There are some excellent running routes around Sickla lake, adventure trails, climbing, or you can head to Hammarbybacken, Stockholm's best place for hill training. The reception can provide plenty of tips. Welcome to our à la carte restaurant Brasserie X - this is where our Nordic culinary traditions meet the relaxed atmosphere of the French brasserie. Enjoy real food made using the best seasonal produce. You can also start or end your evening with a glass of your favourite tipple in the bar. You'll find excellent conference facilities here at the hotel, just 10 minutes by car from central Stockholm. You can arrange all kinds of different events here, large and small. We will help you tailor your event to suit your specific needs. Our conference centre has 13 meeting rooms of different sizes. The largest space can accommodate up to 200 people. And did you know that all our conference guests can enjoy soft scoop ice cream and popcorn? Success guaranteed! We are pleased to be able to offer our sports guests a discounted rate when visiting for competitions, matches or races. Get the best start to the day with a comfy bed, the option to check in early or check out late, your own sports menu and the complimentary use of a common room. Find out more about our special offers and discounts for sports travellers. The hotel is right next door to the Sickla retail park and shopping district, one of Stockholm's biggest and most popular shopping centres. There's a wide selection of shops and plenty to do. If you're travelling with children then there's bowling, a cinema and an adventure playground. We want your stay with us to be as enjoyable as possible, and we'd love to give you a few ideas about things to see and do in Stockholm. Our reception is open 24 hours, so there's always someone there to help. You can read more about Stockholm here. From 1 September 2017 we will no longer be accepting cash payments at the hotel. For those of us who work here that means a much safer working environment and more time to spend looking after our guests. For our guests it means greater security and faster payments. See you soon at the Quality Hotel Nacka! Enter "Quality Hotel Nacka" into your navigation system to get the best route to the hotel. The "Tvärbanan" light railway runs from Gullmarsplan, Liljeholmen, Årstaberg and Solna to Sickla station. Take the bus from Slussen to Sickla or Sickla Bro. Take the Arlanda Express to Stockholm Central Station or the airport shuttle bus (Flygbussarna) to Liljeholmen. Then take the metro to Slussen, and take the bus or Saltsjöbanan train as far as Sickla. From Liljeholmen you take the Tvärbanan light railway to Sickla station. 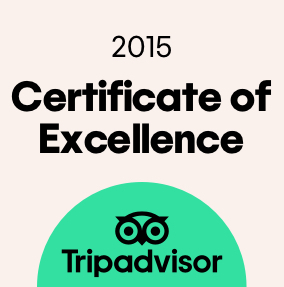 We recommend Taxi Stockholm, Taxi 020 or Taxi Kurir.